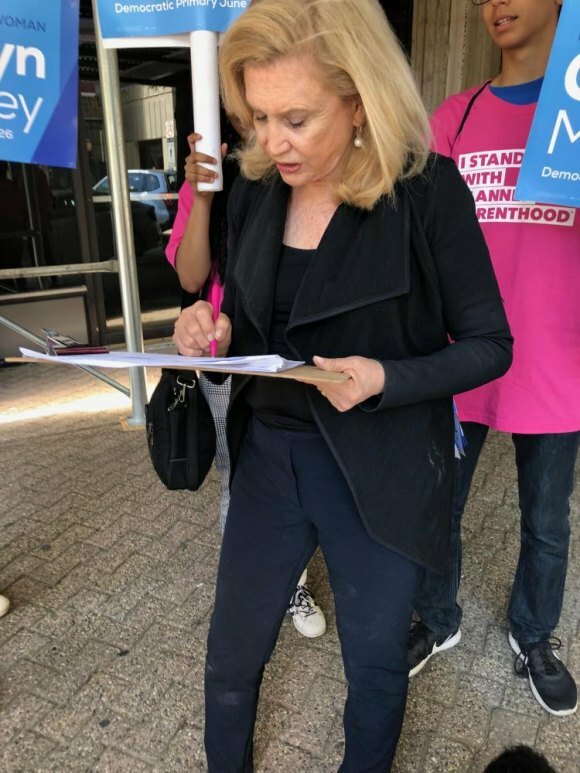 Congresswoman Carolyn Maloney signs WFF petition asking RIOC to restore the cat sanctuary's water supply. RIOC's battle with its much smaller rival, the Wildlife Freedom Foundation, caught the attention of mass media outlets with the New York Post publishing an article late last evening. Others, including the Daily News and CBS, have been in touch. The article, Cat sanctuary struggling to provide care after water shut off, repeats RIOC's claim that permitting the sanctuary to use its water reduces pressure on its sprinkler system but does not address critical issues such as the State agency's admission that it knowingly contaminates the water supply, perhaps illegally, and refuses to answer questions about it. RIOC is currently in what's known locally as "bunker mode," a defensive posture taken when challenged and unwilling to respond to criticism. To date, RIOC's evolving rationales for its actions have taken more evasive turns than Crazy Legs Hirsch heading for a first down marker. (Look it up.) A complaint about water pressure has tacked through various stages to a sudden humane approach, i.e., the cats should not be drinking water the State's contaminated. Although suspicions are high that RIOC's ultimate goal is to force WFF's cat sanctuary out of Southpoint, RIOC's been hard to pin down with truthful answers.